3rd Transnational Meeting for the Robot4ALL Project! 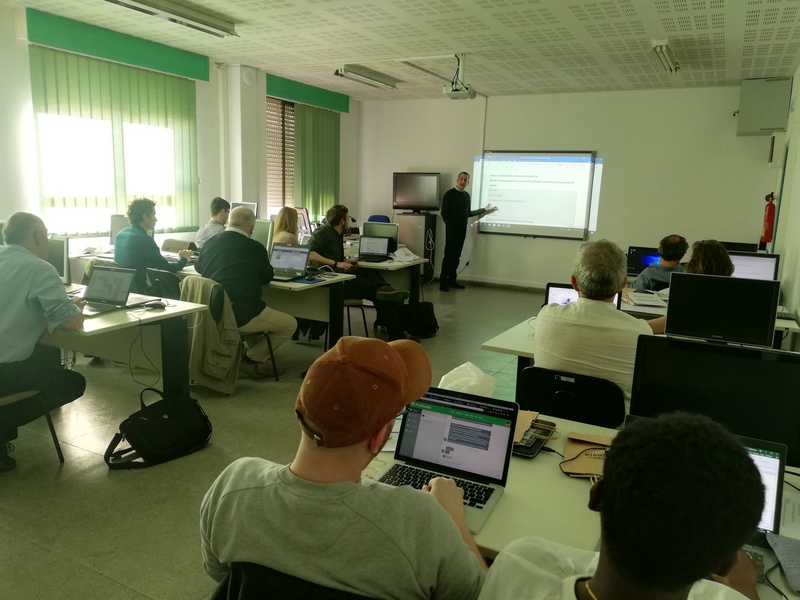 Introducing coding and robotic skills to VET students, while strengthening the profiles of VET teachers are among the aims of the Robot4ALL project. Emphasys Centre participated in the 3rd transnational meeting that took place between the 11th -12th of March 2019 in Segovia, Spain. During the meeting, the consortium finalised the eco-system of the Open Badges which will validate the acquired coding and robotics skills, as part of the dynamic platform currently being designed on Moodle. We would like to thank our coordinator from University of Hannover (GER), the colleagues, as well as the hosting organization I.E.S Maria Moliner(ESP) and the rest of the partners: 2 EK Peiraia (GR), Civic Computing (UK), CDIMM (RO), Cyprus Computer Society(CY) and Digital Initiatives (LUX) for a productive meeting. Previous Post3rd Transnational Meeting for the Forget-Me-Not Project! Next PostShort-term Joint Staff Training for the inSCREENMODE Project!